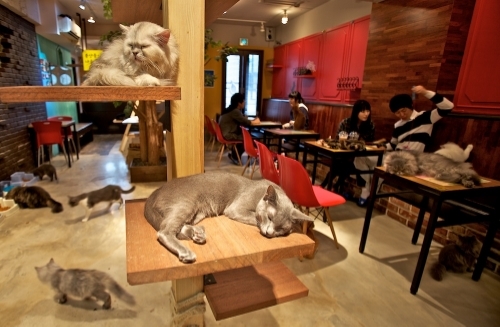 Cat café in Denver. Nothing like a cat walking across the table where you are about to eat. Remember all of your hopes and dreams of the future depend on how well you do on assessment tests. In addition your school really wants a big “A” assigned to it to hang in front so the world can see. Of course we know in the new accreditation scheme the “A” stands for Affluent. Therefore it you attend schools such as Highland Park in Dallas or THE Woodlands HS in THE Woodlands, you will have no trouble. And in what little time left for instruction, ensure you are aware of the following for the weekend. Kyle Allen – named starting quarterback for The Fighting Texas Aggies – WHOOP! Tyrone Swoops – named starting quarterback for THE University of Texas – come one Tyrone, you got this! It is just a mural with a painting of Touchdown Jesus on the wall of the library. Hook the Irish! In addition to following the SEC and the Big 12, this year the schools of The Southland Conference are added to teams I like. This includes two alma maters of mine – Stephen F. Austin State – Go Jacks! Sam Houston State – Go Bearcats and Northwestern State University. Northwestern is located in the beautiful town, named after the brother of Nacogdoches, Natchitoches, Louisiana. It is the home of the birth of my sister; and the Northwestern team is coached by Darryl Daye – a second cousin, I wish I could meet. Of course these will be on the assessment practices on Monday. Remember – assessment over instruction.